EVA is our new self-install Personal Emergency Response System (PERS) device that can be monitored by family and friends via our SmartCare® Response App. 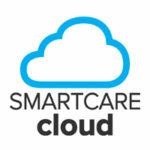 EVA operates on data over the 3G cellular network to report to a purpose built Cloud monitoring platform, SmartCare® Central, which processes, stores, and passes information to associated App responders. 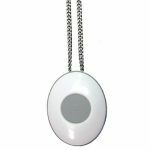 EVA features step by step voice guided assistance when installing, to provide a user friendly solution that ensures a safe setup and connection to family and friends. When a help button is pressed, emergency alerts are sent to all App responders simultaneously, notifying them via push notifications and then text message. Through the App, users can view who has responded, what action has been taken, and users can in-App message each other during the event. App users also receive regular updates from EVA including daily test, battery and power status, and missing pendant alerts. 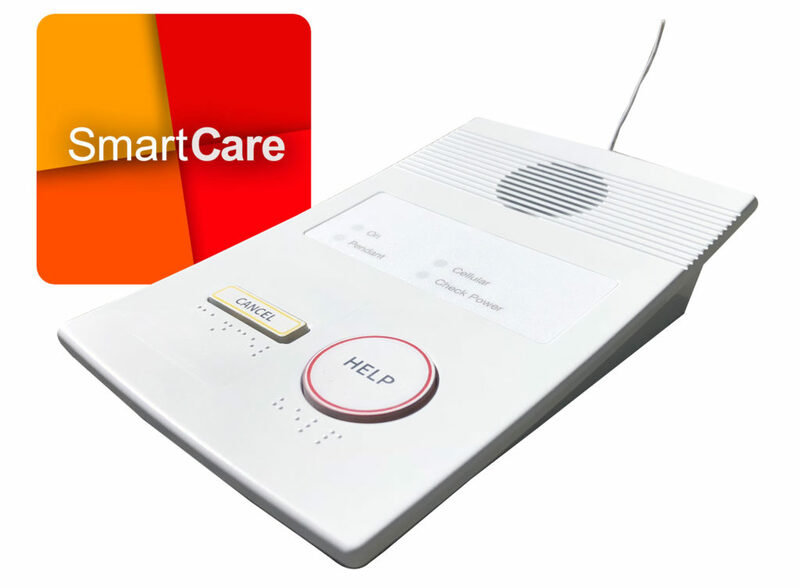 For additional safety and peace of mind, EVA can also be linked through SmartCare® Central to a monitoring company, to provide backup monitoring in an emergency event when responders are unavalaible. The App can be paired with any number of EVA base units, so an App user can act as a 'Responder' for multiple people. This App is white-listed so your organisation can offer this relevant solution with your own branding. Increased chip size to provide voice guided assistance to make installation an easy step by step process. This ensures adequate cellular connection, pendant range testing , and a full system test is performed to ensure connectivity to App responders. Data reports over cellular network to the purpose built SmartCare® Central cloud monitoring solution with multiple layers of redundancy. 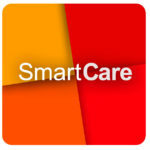 Monitored by family and friends via the SmartCare® Response App. Opt-in backup monitoring available for additional level or safety. Supplied with a hot waterproof Pearl transceiver (IP68) with 300m range. e-call function to open a voice channel to emergency services, should the SIM card or provisioned cellular network be unavailable. EVA can be converted to a professionally monitored solution at any time (monthly fees may apply). Chiptech Wizard connection enables immediate remote reprogramming and resetting of voice guided installation should the unit be moved to a new home. System: EVA is supplied with a Pearl pendant transceiver, a plug pack, battery, and user guide, custom packaged in cardboard. Packaged: recyclable cardboard box: (L x W x H), 215 x 175 x 55mm, that weighs 0.65kg with all components included. Environment: operating temperature of 0 - 40°C, 90% humidity (non-condensating). Pearl to EVA range: 300m+ typical in open air. Power: high efficiency 6W plug pack is supplied. Mains fail reporting after random 1-4 hour delay with restore signal. Battery: backup NiMH battery packs, providing up to 70 hours backup capacity when new and fully charged (using recommended configuration). Battery recharge in under 24 hours. Regular battery maintenance (every 90 days) ensures high capacity and life of battery (typically 3-5 years). Low capacity battery is detected and reported. Missing or non-functioning battery is reported. Low battery warning following mains failure occurs at approximately 20% of capacity remaining. Communication: Contact ID over CSV for Cellular Data. Quad-Band 3G module (UMTS/HSPA), can fail over to 2G network if available.